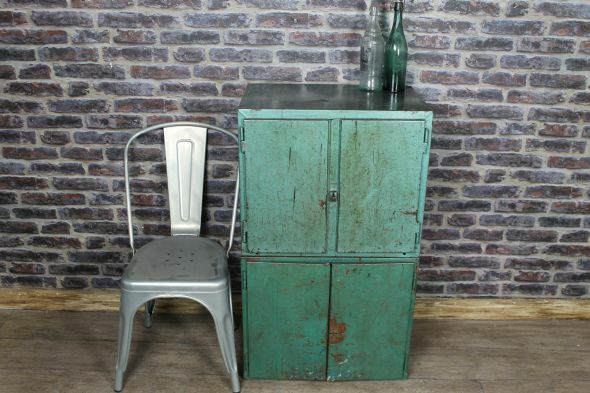 A great addition to our large selection of vintage and industrial furniture, this attractive two piece metal cabinet features two doors, and internal drawers. It would make a great drinks cabinet for any industrial interior or contemporary apartment. As you can see there is some wear and tear to the paintwork but this adds to the character and charm.